Experience Paradise in Cashiers North Carolina! Cashiers, a beautiful village in western North Carolina commonly known as "The Heart Of The Blue Ridge Mountains", is located high on a plateau in the Blue Ridge Mountains at the southern end of Jackson County. Our singularly unique geography boasts hundreds of waterfalls, quiet lakes, stone mountains and amazingly beautiful forests. Sitting at 3,487 feet in elevation at the crossroads of Highways 107 and 64, there is a little bit of everything here to enjoy for native families, visitors, and part-time residents alike. Life in this mountain community is as multifaceted as its landscape. 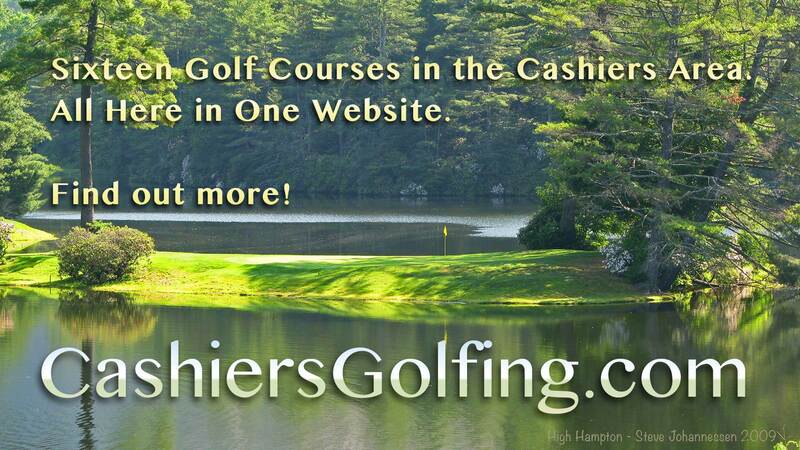 Please visit the Cashiers community website to see all of the many choices there are for you to stay and play. We are closer than you think! Come on up for a weekend or a week. Bring your family for a reunion or wedding. 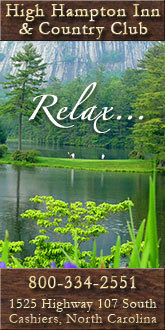 Find that second home you have always dreamed of or kick back in one of the greatest places to retire anywhere! Welcome home to Cashiers, North Carolina, the Heart of the Blue Ridge Mountains. Each of the maps here have a satellite view that will allow you to explore the area! Cashiers is a census-designated place and unincorporated village located in southern Jackson County, North Carolina. 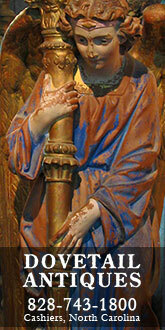 As of the 2010 census, the community had a total population of 157. Cashiers is pronounced locally as if it were spelled "cashers", but this is due to the influence of "new" locals moving to the area. Natives to the town have been pronouncing it that way since roughly the turn of the 19th century. It is one of several communities in the area popular with tourists and owners of vacation homes. The town is served by U.S. 64 to Highlands (west) and Rosman (east), and N.C. 107 to Sylva (north) and Walhalla (south, via S.C. 107). The village is centered on the crossroads of the two. The annual rainfall approaches 100 inches (2,500 mm) due to the orographic lifting effect of storms coming from the lower elevations. This rainfall, coupled with abundant sunshine, creates a lush and verdant microclimate which appeals to botanists. Highlands is an incorporated town in Macon County in the U.S. state of North Carolina. 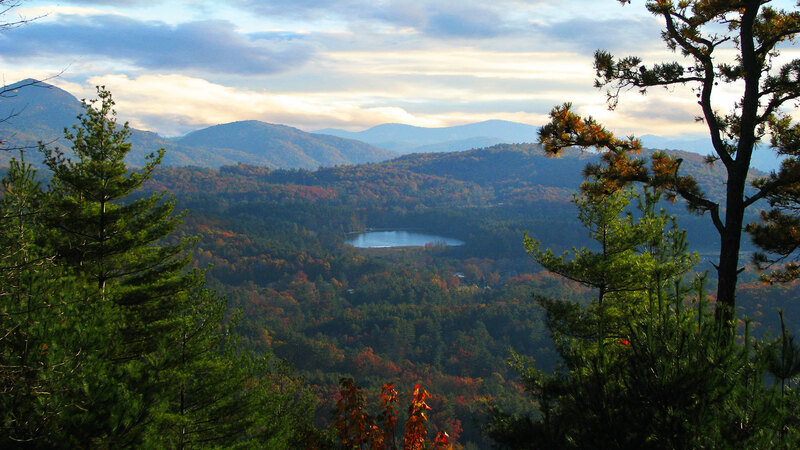 Located on a plateau in the southern Appalachian Mountains, within the Nantahala National Forest, it lies mostly in southeastern Macon County and slightly in southwestern Jackson County, in the Highlands and Cashiers Townships, respectively. The official average elevation within town limits is 4,118 feet (1,255 m), making it one of the highest incorporated municipalities east of the Mississippi River. Sapphire is an unincorporated community in Transylvania County, North Carolina, United States. Sapphire is 5.5 miles (8.9 km) east of Cashiers. Sapphire has a post office with ZIP code 28774. The elevation here is 3.176 ft (968 m). Lake Glenville is renowned for Bass fishing, it annually casts bass fishing tournaments. Smallmouth bass live abundantly in Lake Glenville, as well do lake trout, crappie, largemouth bass, bream, and perch breeds. Certain breeds of Catfish also live in the lake, mainly "channel cats." There are numerous creeks that produce the water for Lake Glenville, including: Cedar creek (Cedar Creek and Bee Tree Creek combined),Mill Creek, Hurricane Creek, and Pine Creek, as well as other natural springs consumed at the base of the lake. Lake Glenville is the highest man-made lake East of the Mississippi The elevation here is approx. 3486 ft.
Lake Toxaway is an unincorporated community in western Transylvania County, North Carolina on U.S. Route 64, and North Carolina Highway 281. It lies at an elevation of 2979 feet (908 m). Many events in the area are listed here. For more event information please visit the Cashiers Community Website. Is your organization putting on a public event? Let us know! If approved we will post it here at no charge! Please support these outstanding local businesses while you are in Cashiers! Tell them you found them on the community website!